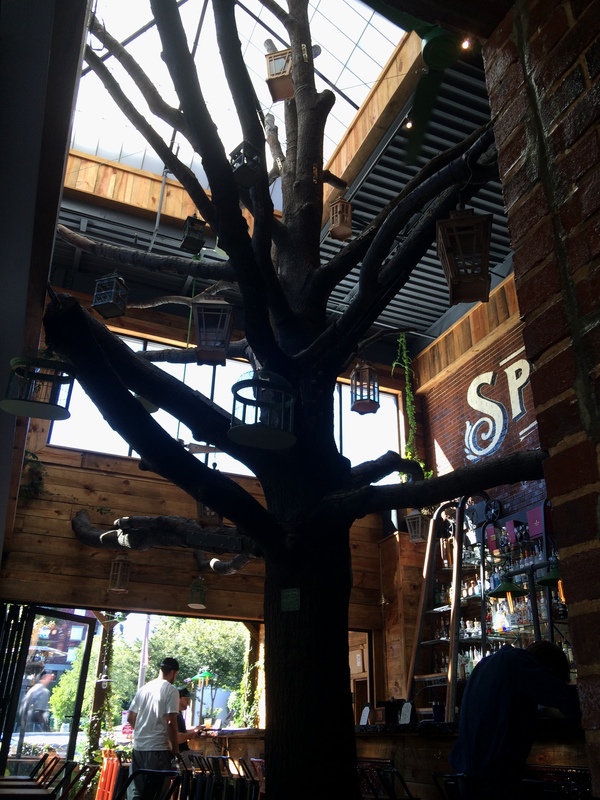 It’s rare to see a giant tree in the middle of a restaurant. The owner of Raleigh Beer Garden decided to keep the original oak trees that were on the property before the restaurant since Raleigh is known as the City of Oaks. See more rare things at The Daily Post. Pingback: Rare (Angry Water Cans) | What's (in) the picture? It really is. I’ll have to do a post with all of the different areas of the space. It was a really good infill project that added character to the area. That’s cool. There’s a steak restaurant in São Paulo that has a huge tree inside, and a dark Irish Bar in London. I think it’s fun.